Presented by Black Fork LLC. Recover with us after the ride with some tasty BBQ! The meal includes a City BBQ [+more] pulled pork sandwich, choice of two sides, cookie and drink. You will be hungry! Please note that meals purchased the day of the event are $15. Avoid the morning rush and camp out at the Black Fork. 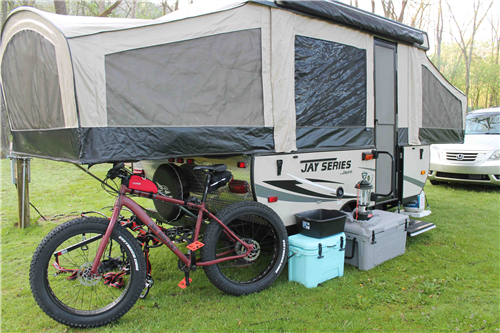 Mohican Wilderness Campground [+more] is offering 2 nights of camping for only $16 per person!